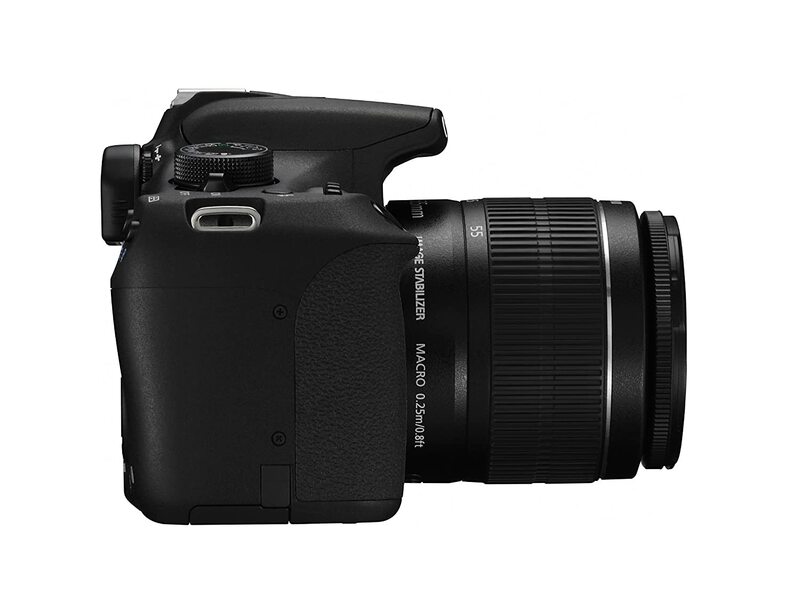 Let us say you are in the market looking for the best DSLR camera. The good news is that you will have a plethora of options available to you. However, if this is your first time buying a DSLR camera, then you might run into some confusions. These cameras are a lot more technical for a newcomer, hobby photographer. Even if you have used some DSLRs in the past, there is a whole lot of difference between using one and buying a new one for yourself. BONUS: I have included a free DSLR Cheat sheet which you’ll find in the later part of this article. 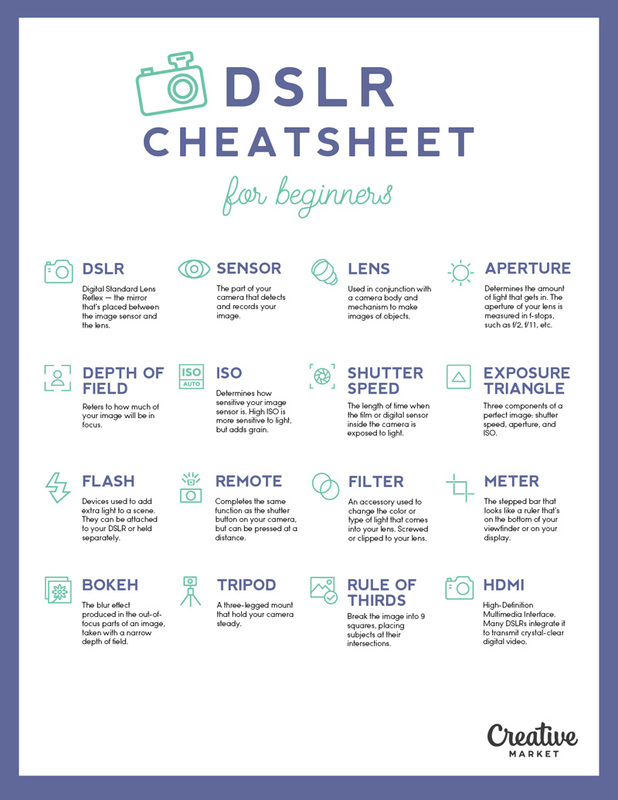 The cheet sheet will tell everything you want to discover about your DSLR camera, and how you can best use it to take the best shots and videos of your life. What I am trying to say here is that buying a camera is not an easy task. Even if you are a veteran photographer, there are always a heap of things that you must keep in mind. You can tell that by going through the reviews, we have done in which we looked at the ten best DSLR cameras in the market. 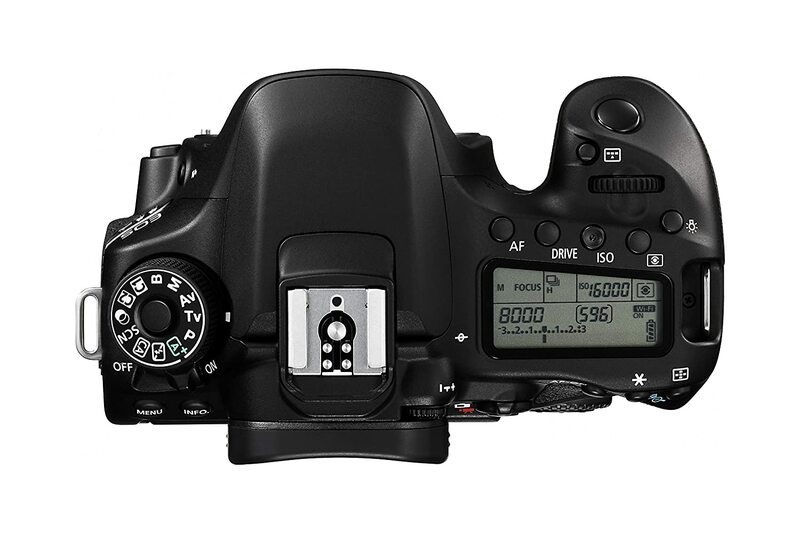 In conjunction with all the reviews that we have posted, we have prepared a DSLR buying guide for you that should help you buy the best possible DSLR. You can find the guide at the end. 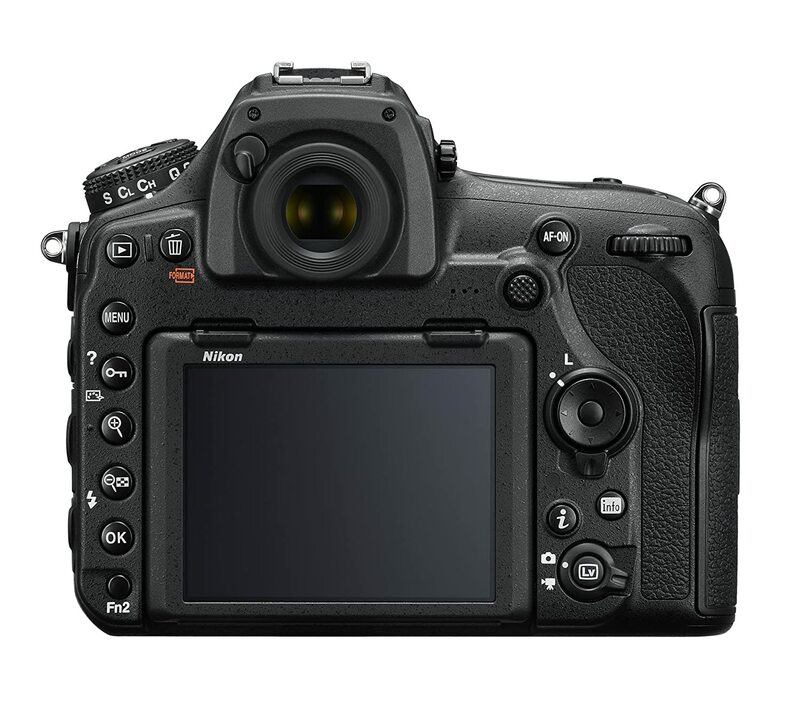 Considering how DSLRs are just a part of a huge spectrum, we are going to cover other camera buying tips as well. 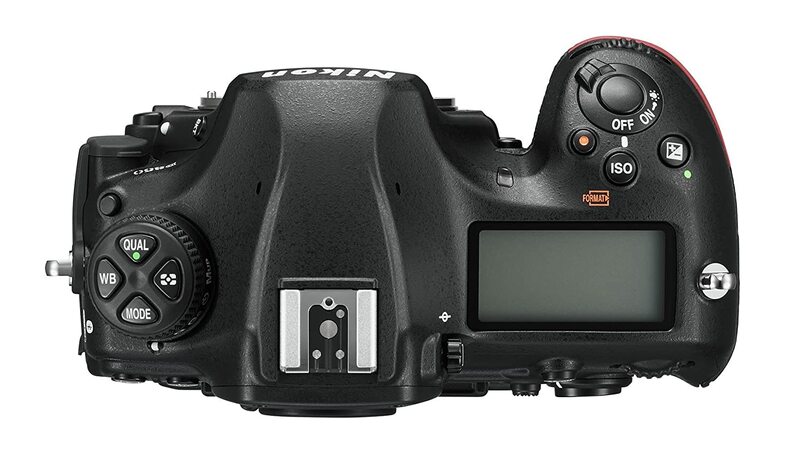 This is going to be a definitive DSLR or camera buying guide that you are going to need. However, for now, we are just going to take a look at the best DSLR cameras available in the market and review them as well. Can shoot up to 9 frames per second. You can record slow motion videos at up to 120 frames per second. The camera is capable of shooting time-lapse in 8K6, as well as 4K. Full frame sensor with no optical low-pass filter ensures great pictures with a lot of details. The 45.7 megapixel sensor insures that the dynamic range comes out impressive, and images look amazing. 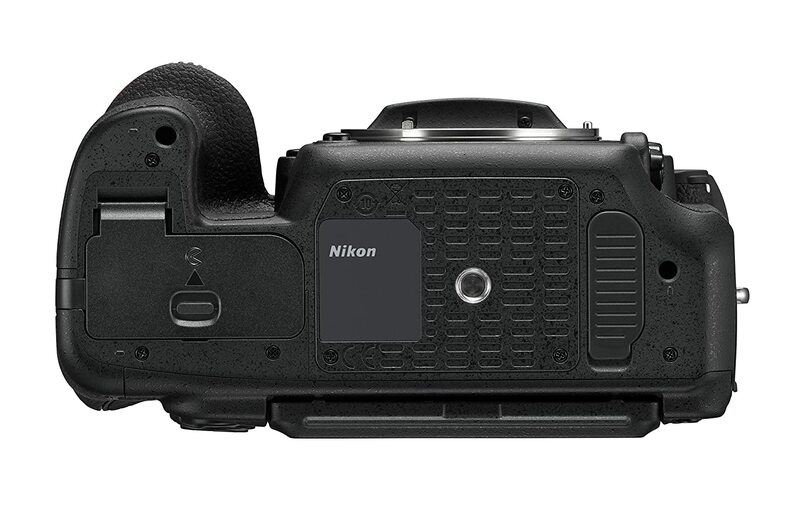 The first camera that we are looking at is from Nikon. For a long time, Nikon has established itself as one of the best companies when it comes to the camera and imaging in general. If you want to know which is best professional DSLR camera for photography? Then I must tell you that, the Nikon D850 is a full frame beast that is impressive down to the bone. 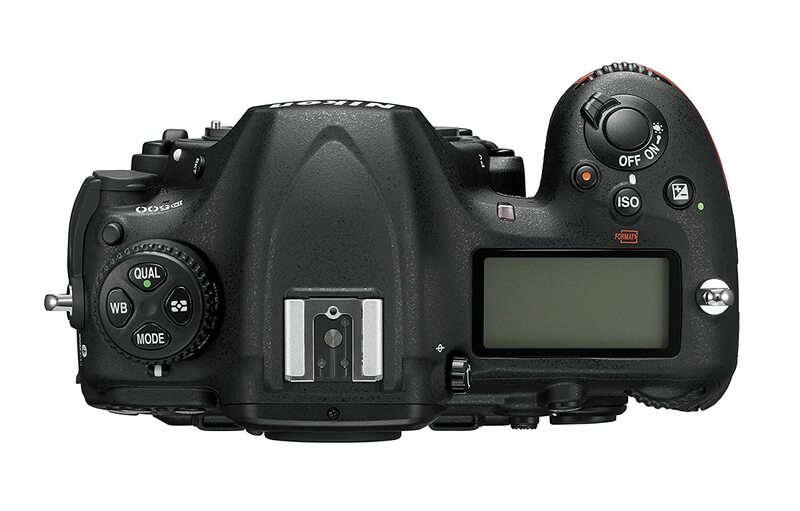 The D850 is a beast when it comes to features, and you are going to find out why. The resolution is out of this world, and the tonality and range are at a level I never thought possible from a DSLR. 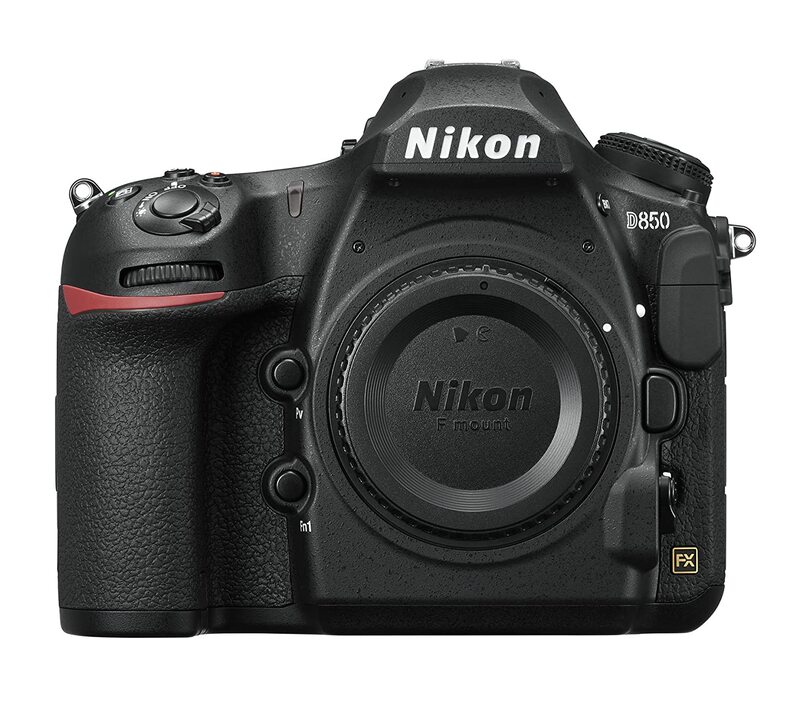 Few things that the camera lacks, there is no denying that the Nikon D850 is one of the best cameras available in the market. For starters, the live view focusing speed is not as fast as I would have liked. Secondly, I love the SnapBridge function, but at this point, it is still shoddy at best. These awesome photos are clicked by Dixie Dixon, she is a commercial fashion photographer and nikon ambassador. The camera comes equipped with the potential to take some of the most detailed images, and thanks to the large sensor, it is perfectly possible. Additionally, the camera has impressive 153-point autofocus. If this is too technical for you, know that the Nikon D850 has one of the most sophisticated autofocus systems that I have used. For me, a good viewfinder in a DSLR is very important; thankfully, the viewfinder of the D850 is large, and it is very bright; making it a fantastic experience to take photos. Last but not least, the battery life on the Nikon D850 is one of the best I have seen. 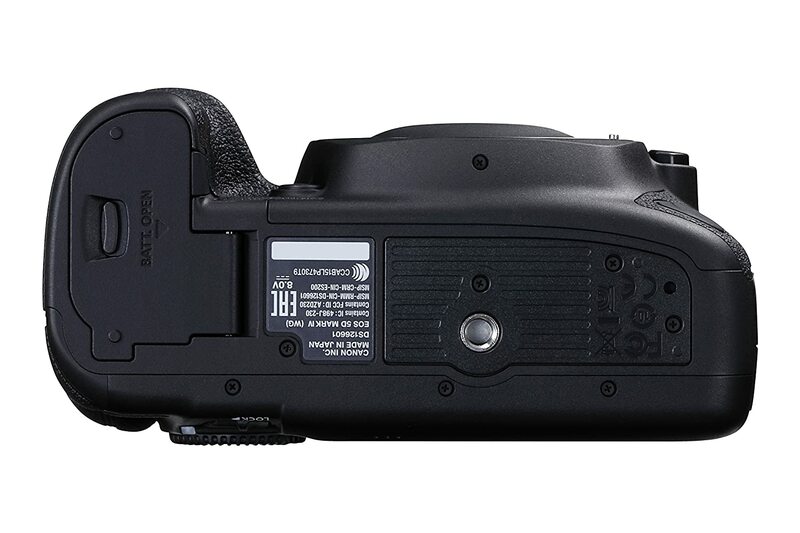 The camera is rated at 1,840 shots on a single charge. This is impressive, considering how many cameras do not come close. What makes Nikon D850 the best DSLR camera ever? 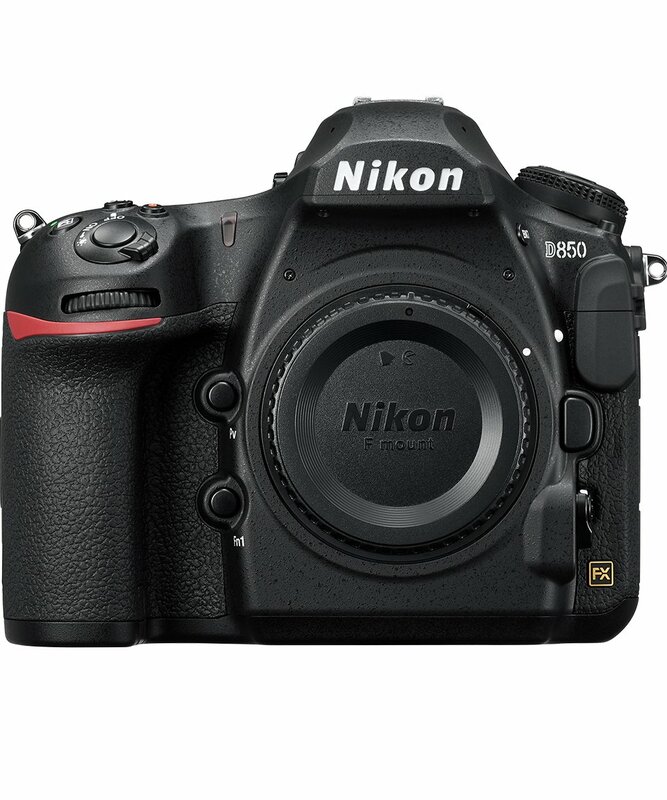 The Nikon D850 is one of the best cameras money can buy, albeit, there are some minor issues, they do not hinder the overall camera experience. The excellent sensor, combined with one of the best, class-leading battery live is great for taking some of the best looking photos, as well as videos. Not to forget, the excellent viewfinder that is bright, and gorgeous, and a great autofocus system that ensures that your photos and videos come out the best. There are minor setbacks like the lackluster Snapbridge app, and live view focusing being slow, but that does not stop the camera from being amazing. The overall camera CPU performance seems very fast. Much brighter screen as compared to the previous Nikons. Incredibly awesome image quality, particularly sharpness. Extremely fast autofocus, noticeably better than my D800. The screen is very responsive and intuitive to use with no lag. No focus peaking with 4K video (there is focus peaking with 1080P video). Canon’s iconic touch screen comes back. You can get 7 frames per second continuous shooting. 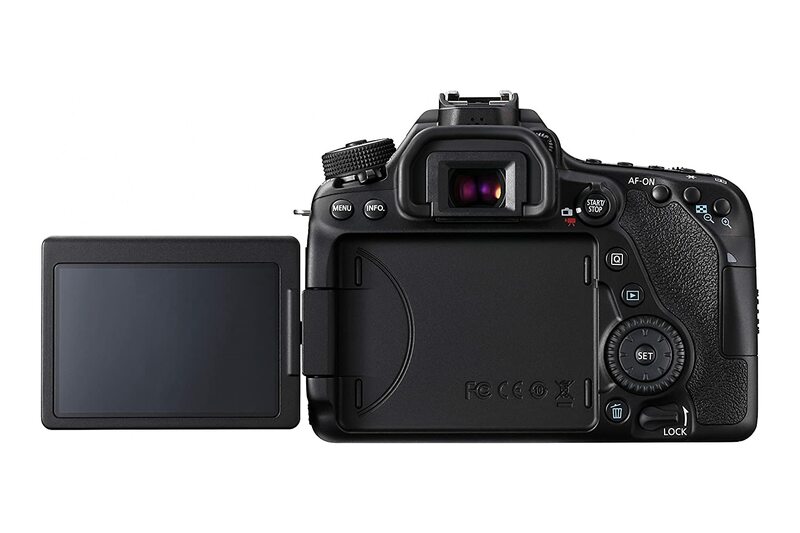 The camera comes with 30.4 megapixel full frame CMOS sensor. 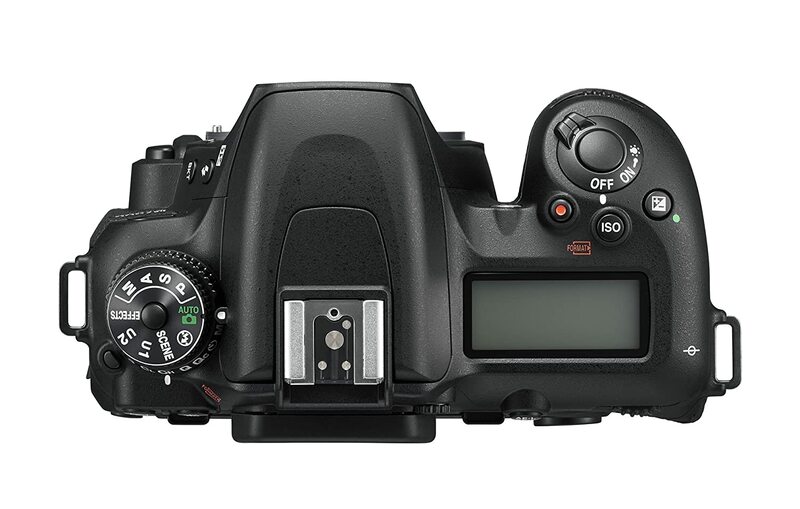 The Canon EOS 5D Mark IV is equipped with 61-point AF system, with 41 cross-type AF points. 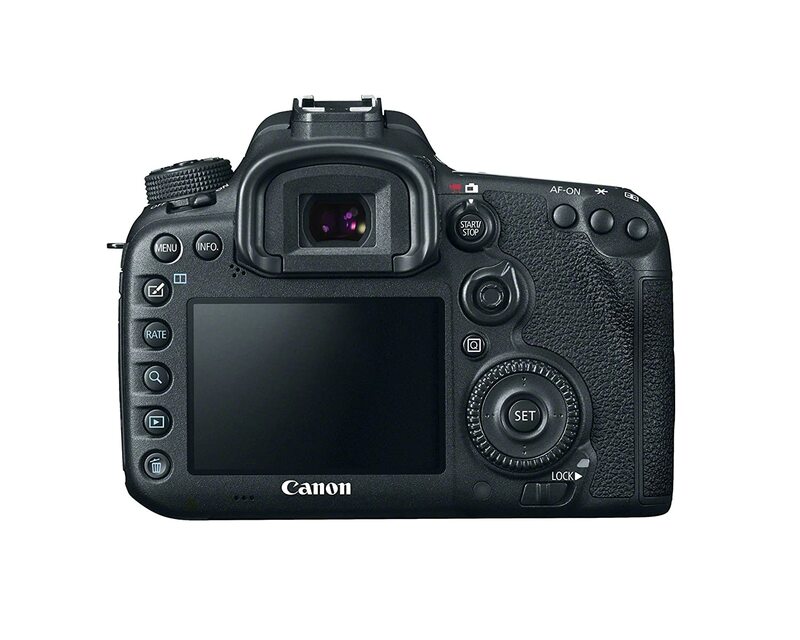 Canon is another company that is leading the DSLR market for some time now. 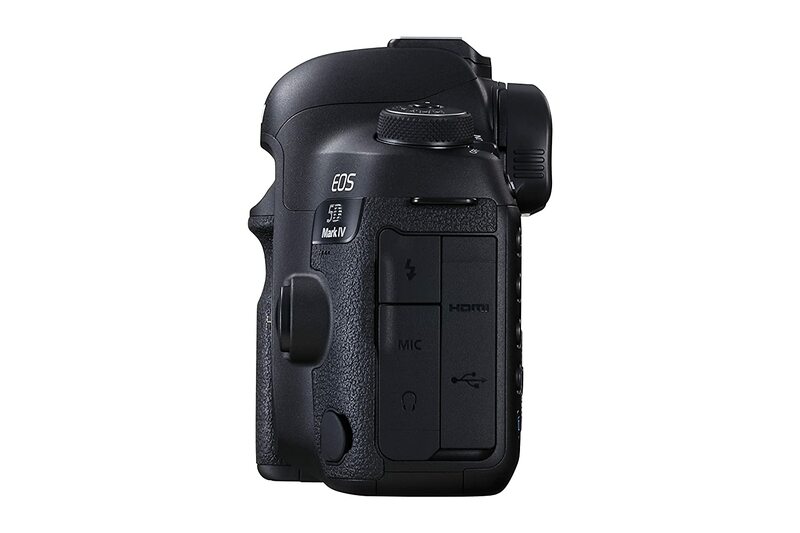 Their EOS series is considered to be one of the best camera series in the market. 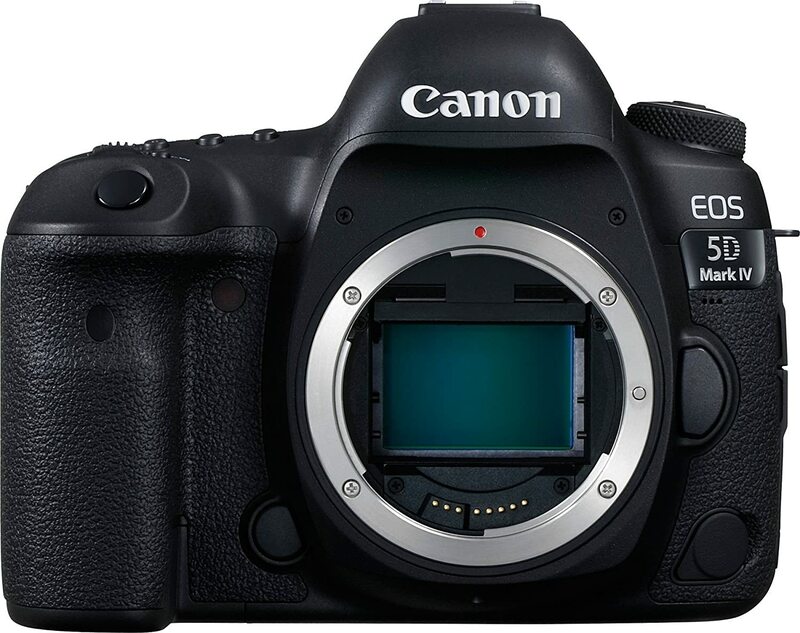 Today, we look at the Canon EOS 5D Mark IV; one of Canon’s flagship cameras that aim to give the best possible performance to the professionals, and hobbyists alike. If you want a great 4K DSLR camera that also does high quality photography, look no further. In our list, Canon EOS 5D Mark IV is possibly the best DSLR camera for video. I know that the camera might not look as strong as compared to the competition, but I can assure you that it is one of the most powerful DSLRs in the market. Amazing Touchscreen: I love how Canon works on their touchscreen, the screen on the Mark IV is one of the most responsive ones I have used. Quick Autofocus: The autofocus system on the camera is among the best I have used. It is quick and very, very easy to use. Awsome Live View: The live view autofocus performance does not leave any room, as it happens to be one of the best when it comes to raw performance. It is fast and accurate. Full Frame Sensor: The full frame sensor is one of the best I have seen, and while it does not boast as many megapixels as its direct competitor, it delivers some fantastic photos. Connectivity: You also get an impressive range of connectivity options, which means that as far as sharing and transferring your photos is concerned, the Mark IV is brilliant. Aside from all the greatness, there are some concerns. The ISO range is still the same, and although the 4K video shooting is fantastic, the options are on the limited side. 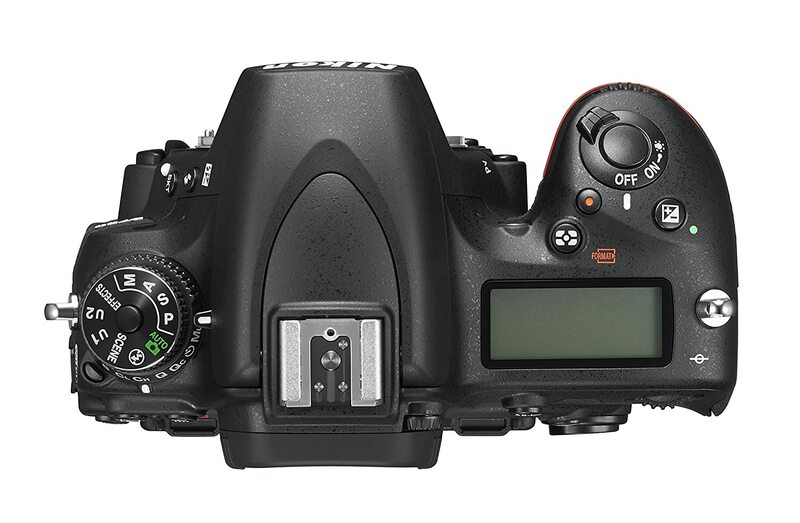 What makes EOS 5D Mark IV the best of the best DSLR? 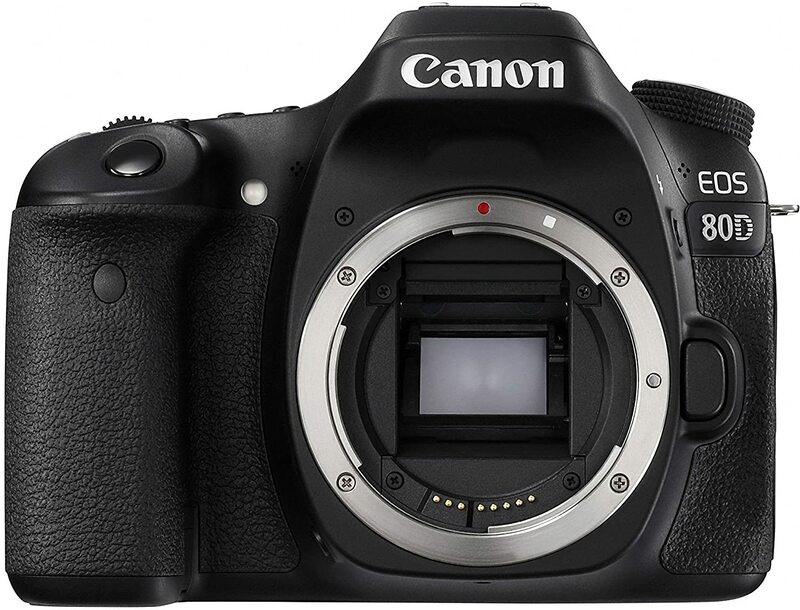 The Canon EOS 5D Mark IV is one of the best, if not the best DSLRs in the market; the excellent autofocus performance, brilliant touchscreen, amazing live view autofocus, plethora of connectivity options, and a great sensor are just a few things that make this camera so great. 30MP sensor shows a lot of details. Great low light performance & exceptional image quality. Dynamic range is very improved over 7D Mark II & newer 760D. 1080p video @ 60p looks great. Doesn’t overheat when shooting 4K. Battery life seems to be on average. WiFi connectivity for easier transfer. Brilliant, full frame, 24.3 megapixel sensor. Ability to shoot at full HD with different frame rate options. There is no denying that Nikon has established itself as one of the industries leading camera manufacturers, and for all the right reasons. 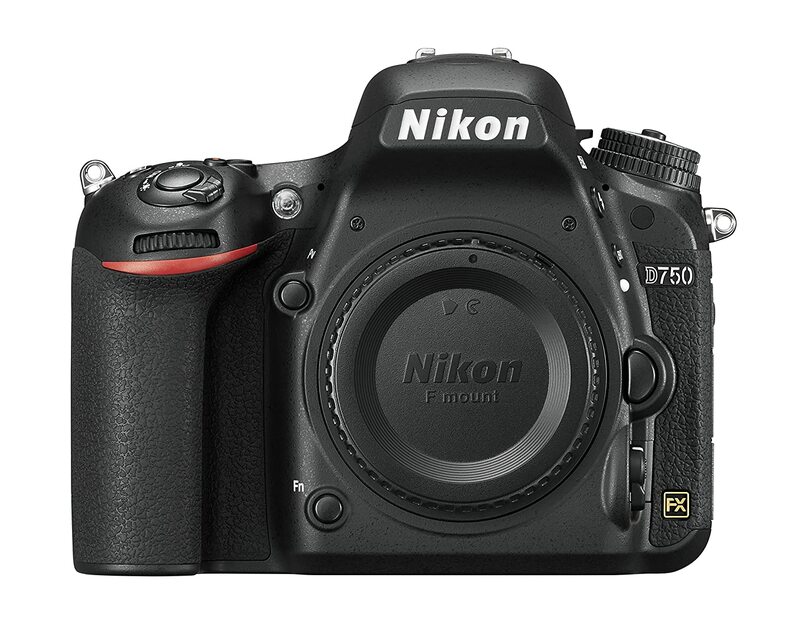 Today, we look at the Nikon D750, an elder brother to the APS-C sized D7500. The D750 does come with a full frame sensor that is capable of some serious performance. Nikon has made sure that even if the D750 is not a flagship camera, it still comes with enough features to entertain just about anyone. Whether you are a hobby photographer, or an aspiring professional, the camera is certainly going to give you a great time. Starting with the good things, the 24.3-megapixel full-frame sensor is among the best I have seen in any camera for a long time now. Pictures come out detailed, and beautiful. Impressive Autofocus: Nikon retakes the win with an impressive 51-point autofocus system that happens to be sophisticated and works well in every single scenario. 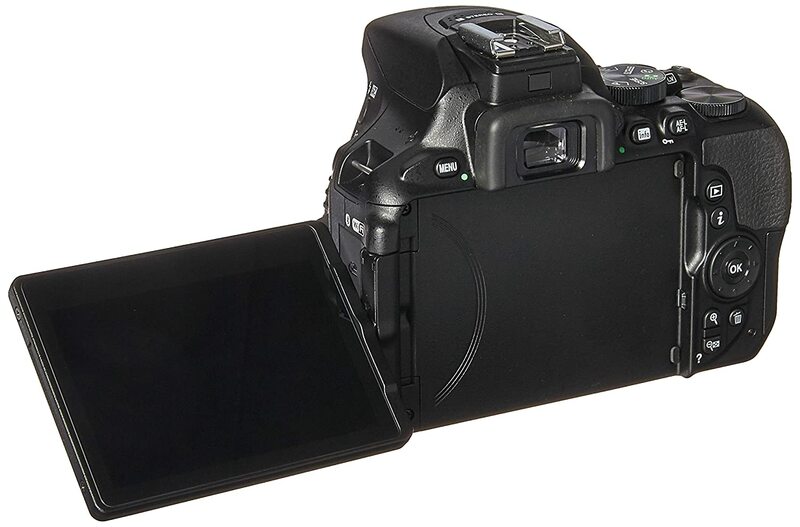 Touch Screen: The tilt-angle touch screen is there for you to flexibly and efficiently shoot your subject without running into any obstacles. 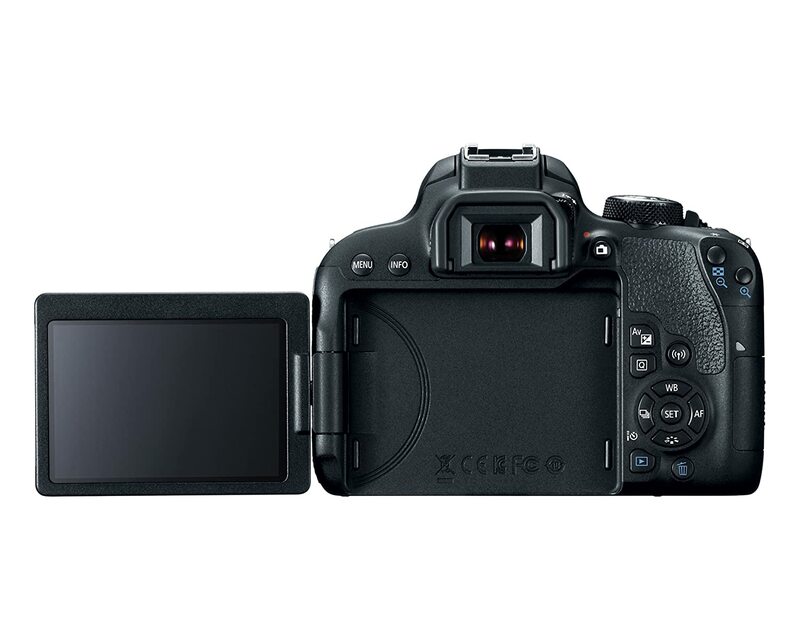 Lightweight: One of the best things about the Canon D750 is its impressive and lightweight unibody that allows you to easily carry the camera without any hassle. For starters, there is no AF-On button, which for many people, can be a deal breaker. Additionally, the shutter speed of the camera is limited to 1/4000th of a second. Generally, this does not pose as an issue for seasoned photographers, but it is worth mentioning. Last but not least, the biggest problem with all the Nikon cameras is the slow autofocus in live view. This is not an issue, but if you do prefer shooting with the live view, then it can be an issue. 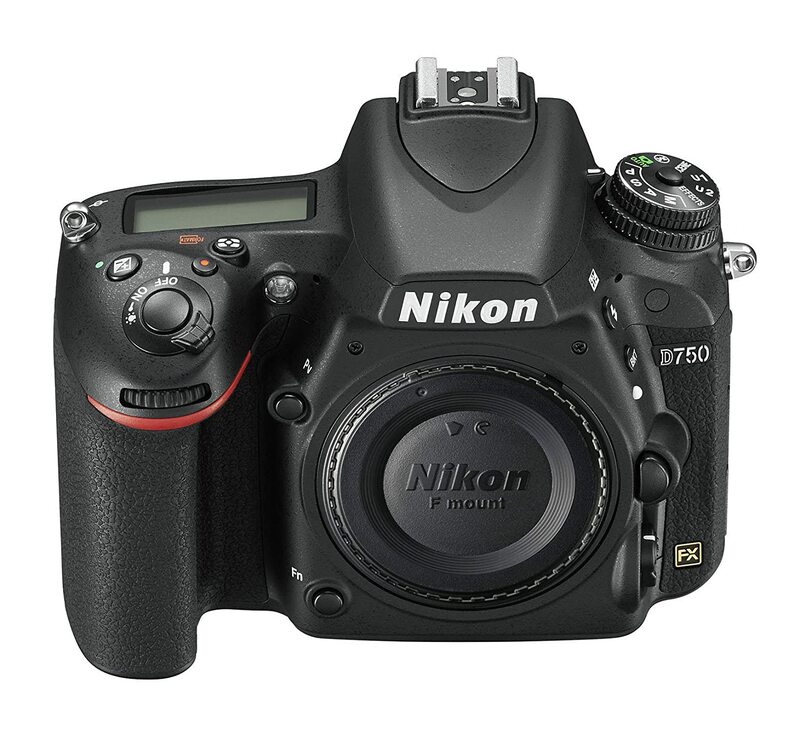 The Nikon D750 is a wonderful full frame DSLR that will get the job done regardless of the lens you pair it with. The excellent autofocus system, touchscreen, and a lightweight body make it one of the best available cameras in the market. However, some minor issues like slow autofocus on live view, or no AF-on button may hold it back. But it still is an amazing camera. Swivel LCD, great dynamic range & color depth. Excellent image quality from a superb image sensor. Phenomenal performance at high ISO (one of the best cameras out there). 4K video recording at 30 frames per second. 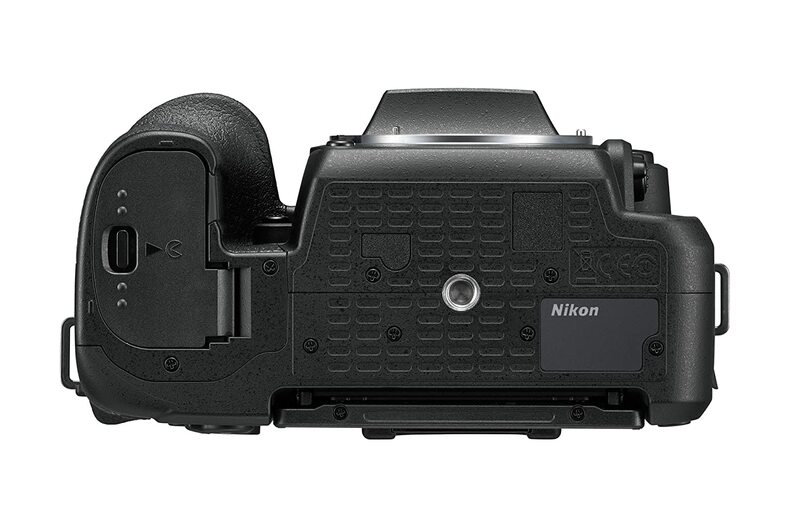 Nikon has had a series of great runs with their cameras, and they have proven time and again that they are one of the best, if not the best companies in the market. 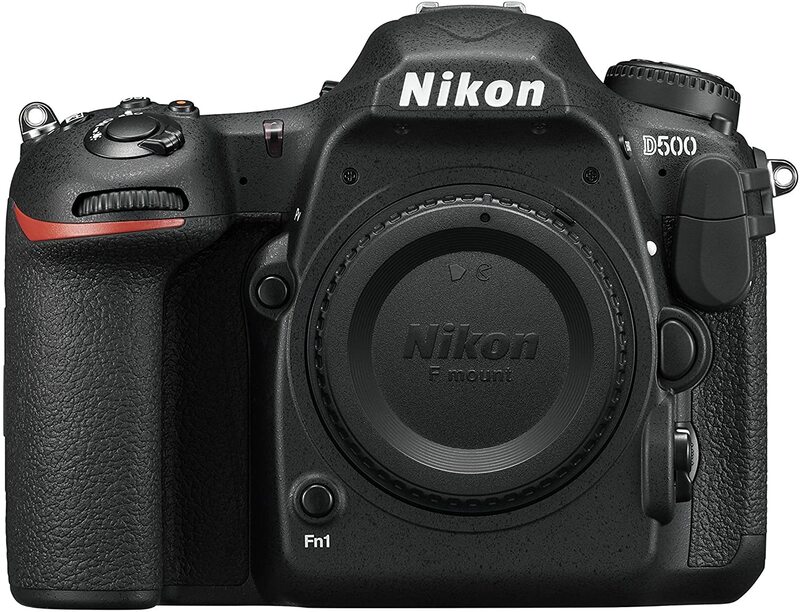 The Nikon D500 is no different, even though it is an APS-C sensor camera the great thing about the D500 is that it manages to go toe to toe against some of the full frame cameras of the market. Now there are a lot of brilliant features in the Nikon D500, allow us to highlight some of the main features that you would find in this camera. Despite being fairly old, the Nikon D500 is no slouch when it comes to having an impressive list of features. But is the camera all about features an no-show? Well, let’s find out. …one of the best autofocus systems that I have had the chance to try out. All thanks to the 153 autofocus points; if you like to shoot fast-moving subjects, this camera is going to be great for that purpose. 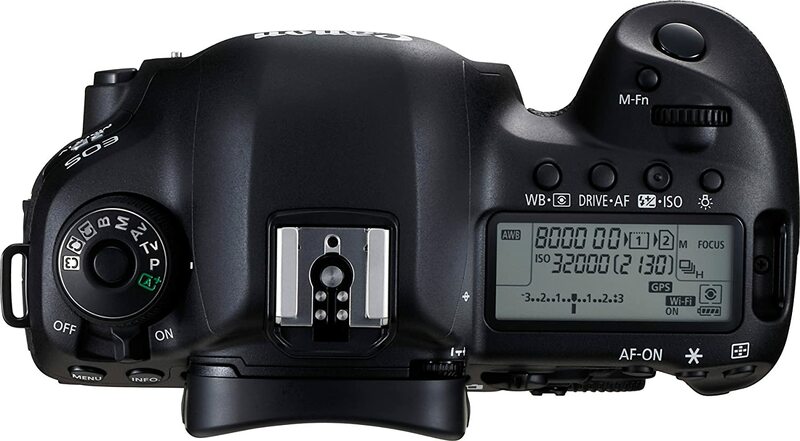 Additionally, the D500 allows you to shoot pictures at ten frames second for 200 RAW files. Just when you thought Nikon could not improve their build quality, the D500 is made out of a metal body that is fully weather sealed. Last but not the least, the image quality on the Nikon D500 is one of the best you will get to see. …and despite being old, it is still one of the best cameras available in the market regarding image quality. There are some things about the D500 that are not up to the mark; for starters, the live view AF system is not as fast as I would prefer, and the screen only tilts, rather than articulate, which can be an issue under certain conditions. What makes Nikon D500 the best crop sensor DSLR camera? The Nikon D500 is a great camera that can shed out some brilliant looking photographs. It has brilliant autofocus, fast frame shooting, amazing build quality, and the ability to shoot 4K videos. It is only held back by some very minor setbacks like the slow autofocus on live view display, and the tilting screen. The camera is basically for those who put the priority on sharp and crispy pictures with rich color or needs amazing, fast autofocus and tracking. Nearly everything else about the camera is perfect. 4K UHD video quality is decent. Superb image quality for an APS-C camera. Shoots 7 frames in a second. Excellent, bright, touch screen that is fully articulating. A headphone and microphone jack for proper recording and monitoring. The thing I love about Canon is that at every price bracket, they have served one user type or the other. Canon has gone above and beyond and released some pretty impressive cameras into the market. Today, we look at the Canon EOS 80D; a camera that comes recommended from some of the best YouTubers, including Casey Neistat. Now, the EOS 80D has been called the best camera for vlogging mainly due to the features that it presents; we are reviewing this camera not just for blogging, but its overall performance as a DSLR. 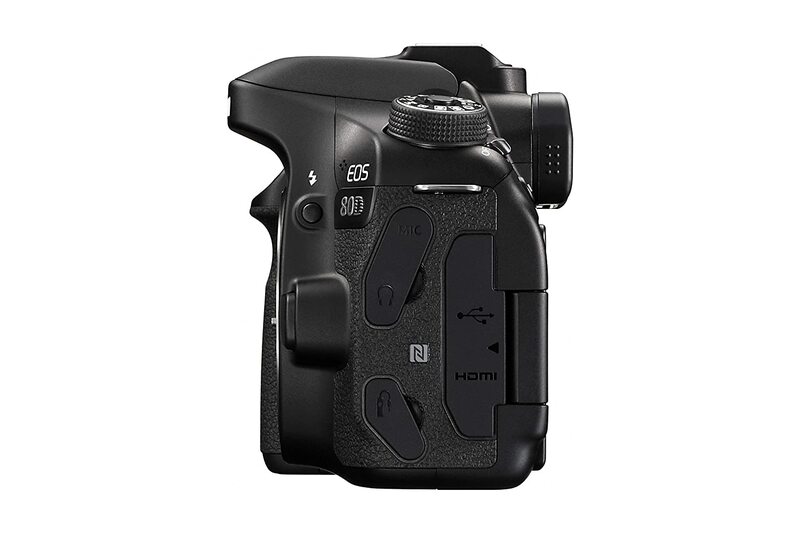 The EOS 80D is a high-end, crop sensor camera, and it is loaded with features. The Canon EOS 80D is loaded with some of the most desirable features, and for all the right reasons, but how well does the camera itself perform? What I really liked in Canon EOS 80D? Well, you would be pleased to know that despite being a crop sensor camera, the images come out gorgeously with a lot of detail. The autofocus system is one of the best, and the cherry on top is Canon’s proprietary dual pixel technology that makes autofocusing an absolute joy. Additionally, the fully articulated touchscreen is among the best I have used; it is easy, and super convenient. Honestly, I tried my best to nitpick some issues in the Canon EOS 80D, but you would be surprised that I did not find a single problem that could break the deal. 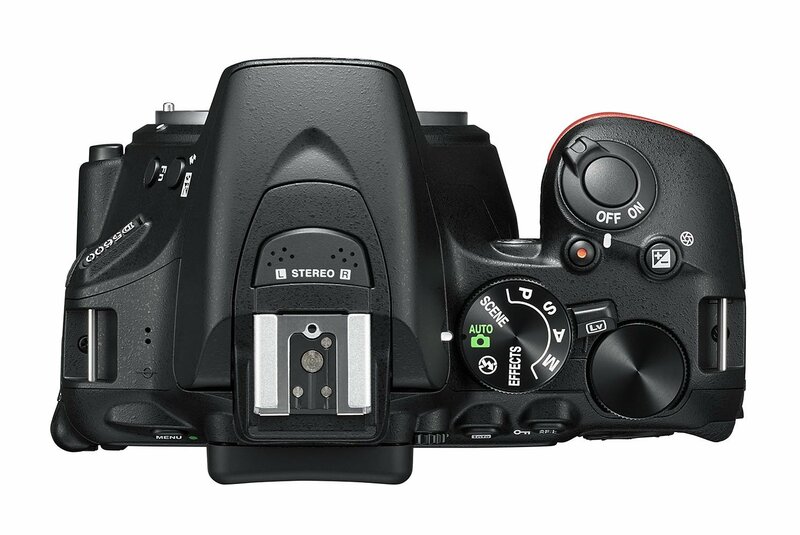 The only thing that I don’t like about the EOS 80D is the fact that the quick menu on the camera cannot be customized. However, that is more of a software issue than a metric to talk about camera’s performance. 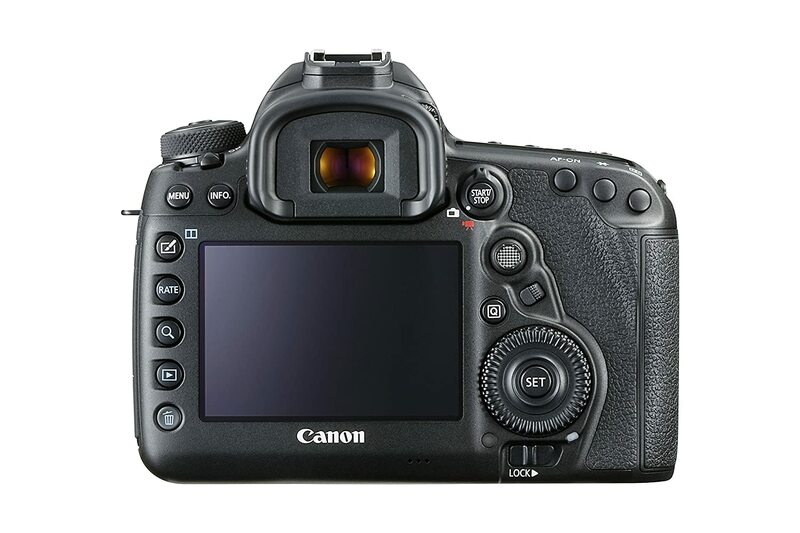 What makes Canon EOS 80D the best mid-range DSLR camera? 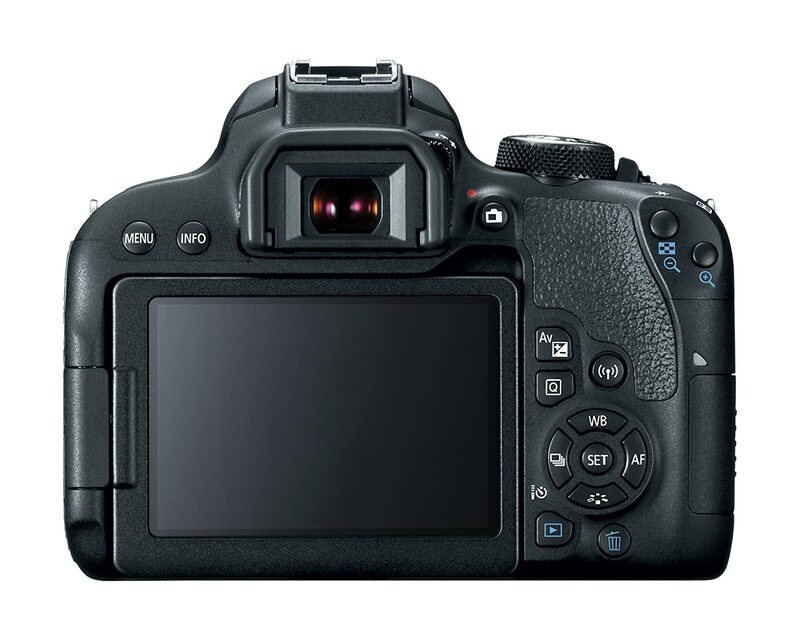 The Canon EOS 80D is one of the best DSLRs that you can buy in the market right now. It has amazing performance, great autofocus, a weather sealed body, and a lot of features for both taking photos, as well as videos. There are no major downsides of the camera that can break the performance, and it is only held back by the fact that the quick menu cannot be customized, which is fine. 45 AF points is great. LCD and controls are very handy. Lens mount feels precise & sturdy. Does very well in low light situations. 24 megapixel resolution takes sharp images & amazing ISO performance. 65-point all cross-type autofocusing system. Canon’s single digit cameras have been the enthusiast favorite for the longest time, and for all the right reasons as well. Canon has released some of the best cameras in this series including their famous 6D, and the 5D Mark IV that we reviewed earlier. Both of them are full frame sensors. However, right now, we are looking at the 7D Mark II; an enthusiast grade crop sensor camera that still manages to be relevant to till this day. Not just that, the camera is a lot better than some of the competition. While the specs on the 7D Mark II certainly talk about the camera is old, and there is no denying that it is an old camera, but that does not mean it is any less potent than some of the newer cameras in the market. The 10 FPS continuous shooting makes it one of the best cameras for shooting fast-moving subjects. Additionally, the camera is very ergonomic, and handling it is an absolute treat. Canon has given granular controls to people who love customizing the camera and making sure that their experience is personalized. Not to forget, the image quality on this camera is one of the best, and despite being a crop sensor, it still manages to produce some of the most stunning images. The camera has a fixed, non-touch screen, and in addition to that, you do not get WiFi connectivity out of the box. However, you can buy a separate accessory that will allow you to use WiFi. All of these issues are incredibly problematic. 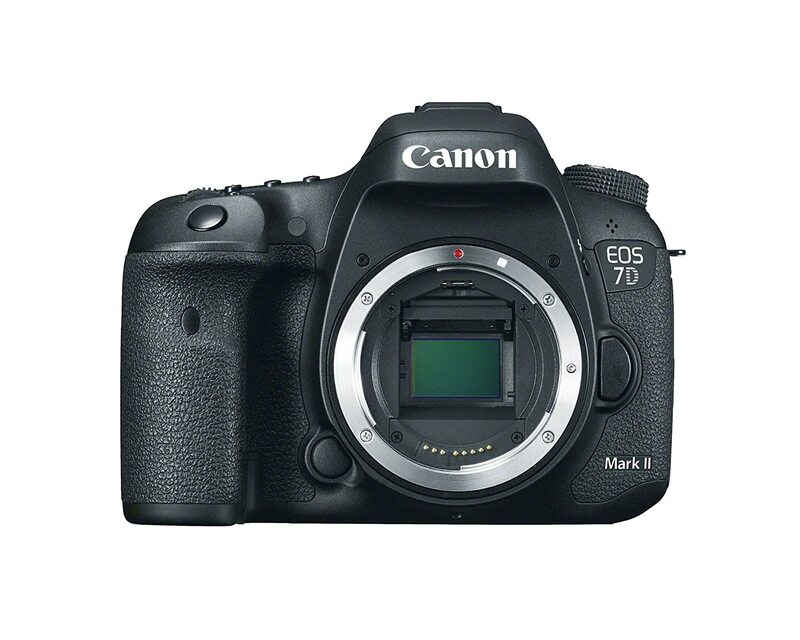 The Canon EOS 7D Mark II is a great camera; the image quality is amazing, the autofocus system remains to be one of the best, the 10 FPS continuous shooting makes it one of the best shooters for sports photography, or photography in which there are moving subjects. However, some downsides are crucial; for starters, the camera does not have a touch screen or a tilting screen. 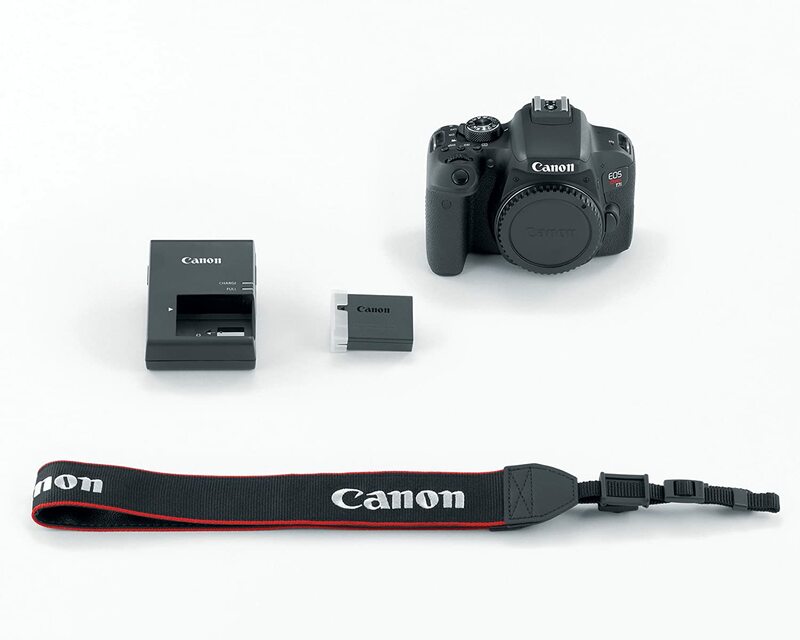 Additionally, you do not get even get WiFi connectivity right out of the box; if you do want it, you can purchase a separate accessory that will let you use WiFi on the camera. Awesome 10 fps continuous shooting. 8 frames per second continuous shooting. 4K video supported; standard or time-lapse. 51-point autofocus system with 15 points being cross-type sensors. Comes with built-in WiFi and Bluetooth for those who want to connect to the smartphones or computers using Nikon’s SnapBridge app. 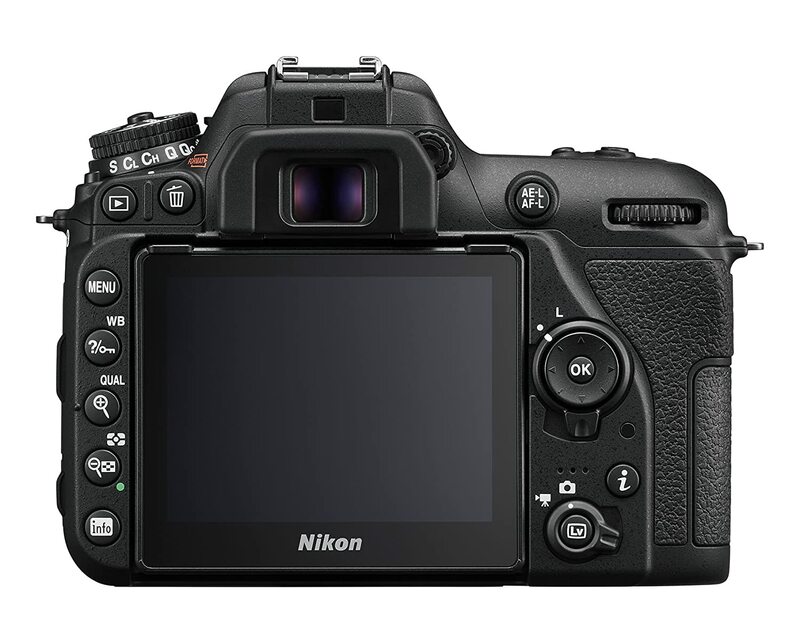 If you are not in the mood to spend top dollar on a Nikon camera but still want something that performs well and has an excellent sensor, then don’t worry. We are going to review the Nikon D7500 DX, a brilliant APS-C sensor camera that has been in the market for some time and still manages to hold its own. I was a bit scared as I thought that you might not get enough features from the D7500. I was wrong, as the camera comes packed with so many amazing features. During my experience, I took the Nikon D7500 DX and shot various scenarios with the camera. I have to tell you that despite being a crop sensor, the camera is one of the best I have seen. Performance at higher ISO is one of the best I have seen, and the autofocus system works brilliantly as well. Making the whole camera an absolute treat to use. The sensor itself is terrific, and despite just being 20.9 megapixels, it can shoot some of the best-looking photos. 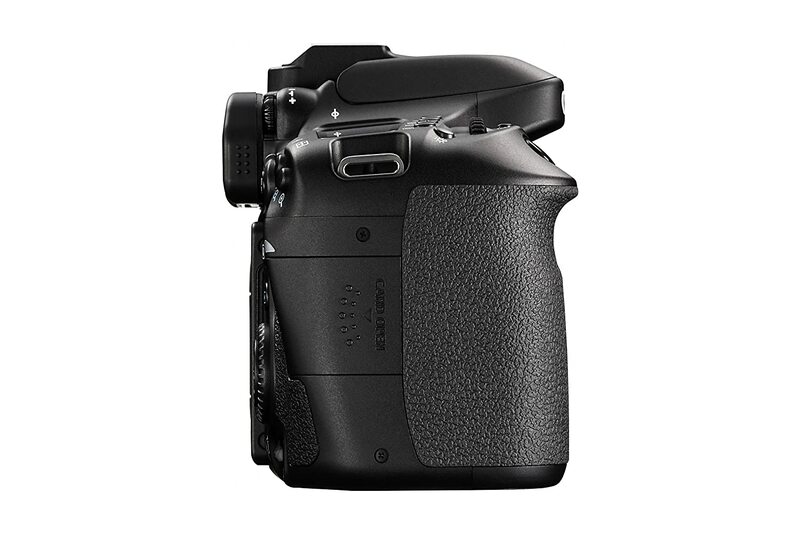 The camera also comes with a tilt-angle touchscreen that should help the shooters. While having a touchscreen is great, I am bummed to tell you that it is not fully articulating. The resolution of the screen also happens to be on the lower side; however, the good news is that the situation is not as bad when taking photos or videos for that matters. The one thing that bugs me the most is that the live view focusing is still on the slower side. While I don’t use the live focus all that much, it is still an important thing that you must know about. 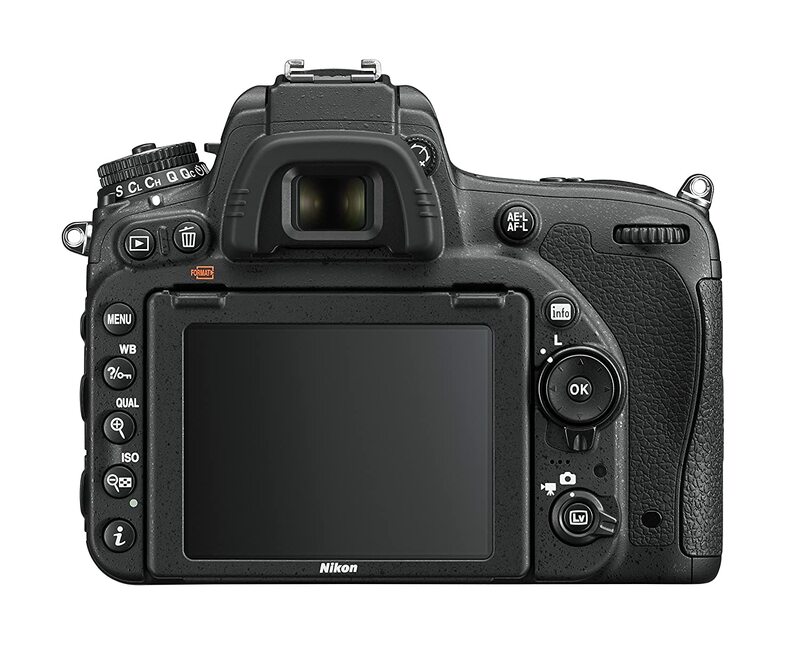 The Nikon D7500 is one of the best mid-range cameras you can buy in the market, it comes with a brilliant sensor, the performance on higher ISO is one of the best I have seen, and the autofocus system is amazing for what you are paying. It is great for both videos and photography. The only complaints are regarding the low-resolution screen and the fact that the screen does not articulate. Good autofocus and ergonomic design. Live View allows for DSLR video recording. App combo allow it to serve as an external monitor. The app is weak, doesn’t perform as well in low light as its competitors. Support for lenses such as AF-S, AF-P, and AF-I. Full HD video recording at 60 frames per second. Nikon’s SnapBridge app for transferring files through WiFi, Bluetooth, and NFC. 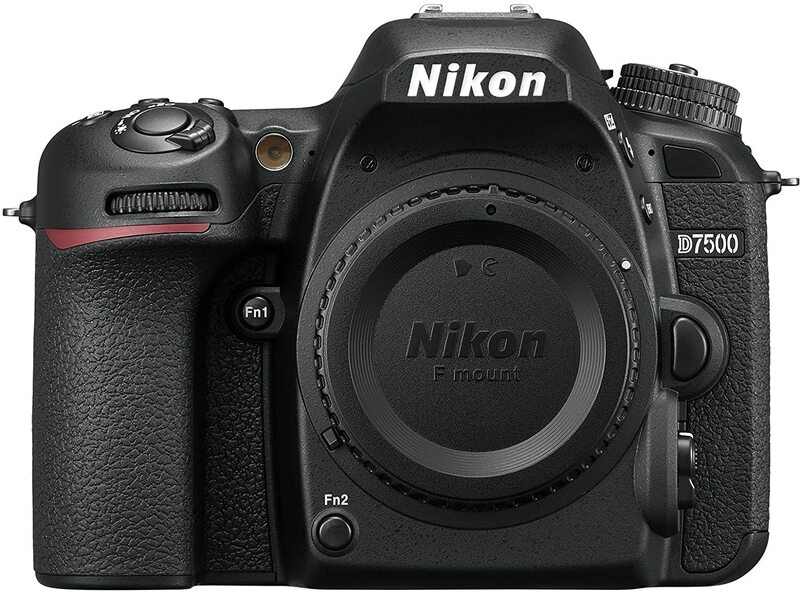 The last camera on the list is from Nikon once again, and this time, we are looking at something that is for people who are not looking to spend a lot of money. The c is a mid-range camera that is aimed at people who want a great photographer experience, and want to learn a lot in the transition. 1080/60p video capture (No 4K). Many compatible lenses designed for Nikon’s F mount. 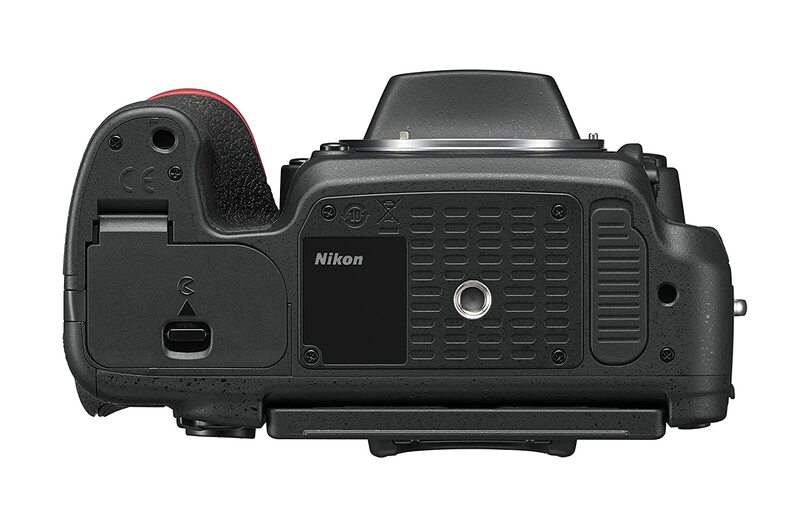 Now I know that the APS-C cameras get a lot of bad rep in the market, but I can assure you that the Nikon D5600 is no slouch. The camera is more than capable of taking some fantastic photos. Now as far as the features are concerned, you might think that Nikon has not done a good job making this camera, but I can assure you, this camera is every bit as good as the competition that it has to face. For starter, the 24.2-megapixel sensor is responsible for producing some of the best looking images that I can think of. The grip on the camera is also one of the best I have seen, and you can easily hold the camera without feeling fatigue in your fingers, or hands. The autofocus system is also pretty decent, and with the right amount of lighting, it does not take long for the camera to focus. Last but not the least, Nikon’s touchscreen implementation is also pretty good. There are some quirks though that I would like to mention here. 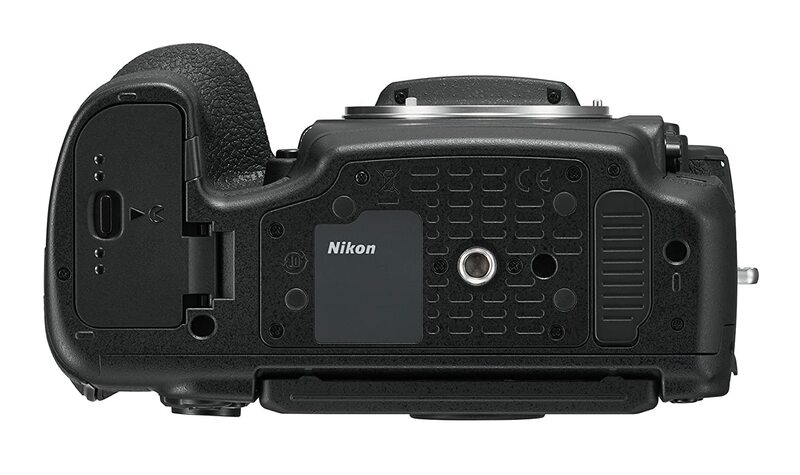 As a long-standing lover of Nikon cameras, I would like to suggest that the live view autofocus needs working on, as it still happens to be on the slower side. Additionally, the SnapBridge needs to be improved because, in its current state, it is not the best camera companion app. 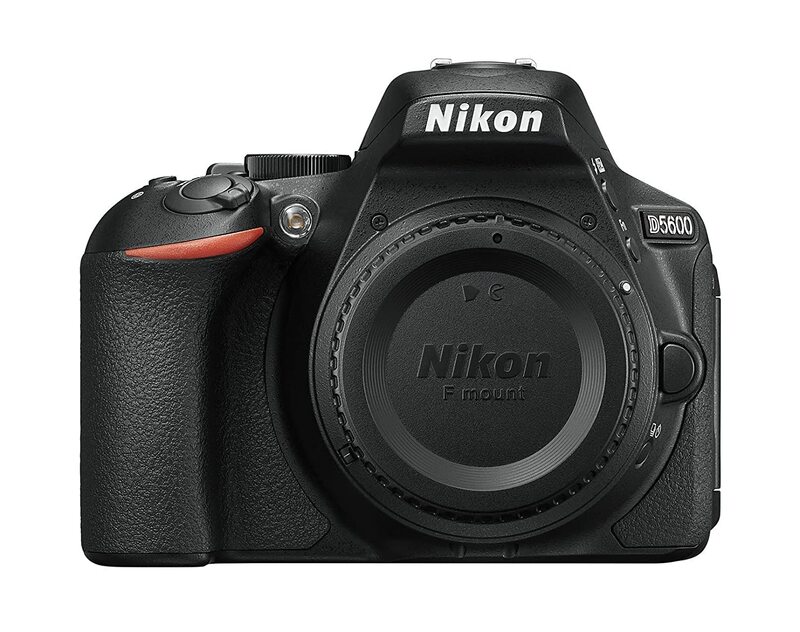 The Nikon D5600 is one of the best mid-range DSLR cameras you can find in the market. It takes stunning photos, does not cost a lot of money, has a lot of features, and handles like a champion. It is only held back by minor issues like a cumbersome app, and a slow live view autofocusing system. Great Image Quality under almost all lighting conditions. 6 frames per second shoot. 45-point all cross type autofocus. NFC, WiFi, and Bluetooth for the maximum connectivity. There was a lot of speculation in the industry that Canon’s Rebel series will not be going anywhere because the cameras are for beginners, and with mobile cameras slowly becoming better and better, there won’t be any market for these cameras. 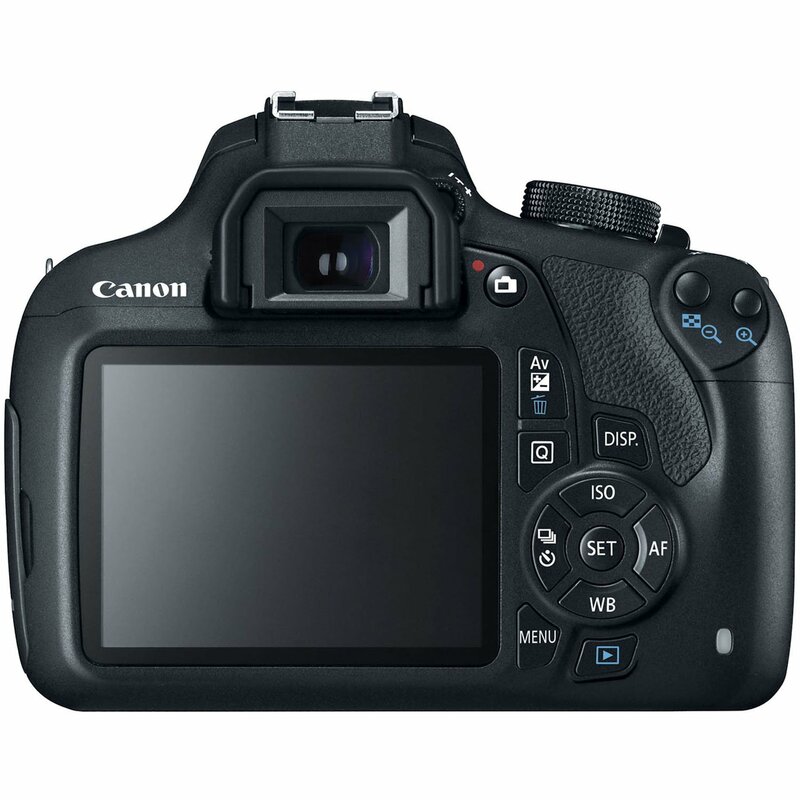 However, Canon did not think that way and release the Canon EOS Rebel T7i, their latest model in the Rebel series. 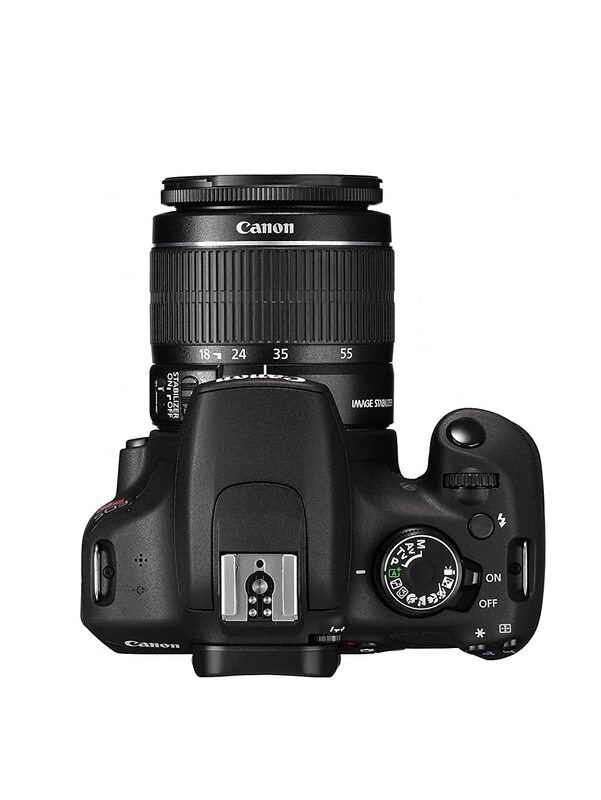 The Canon EOS Rebel T7i or 800D an APS-C sensor with some impressive features that were even surprising to me in the beginning. 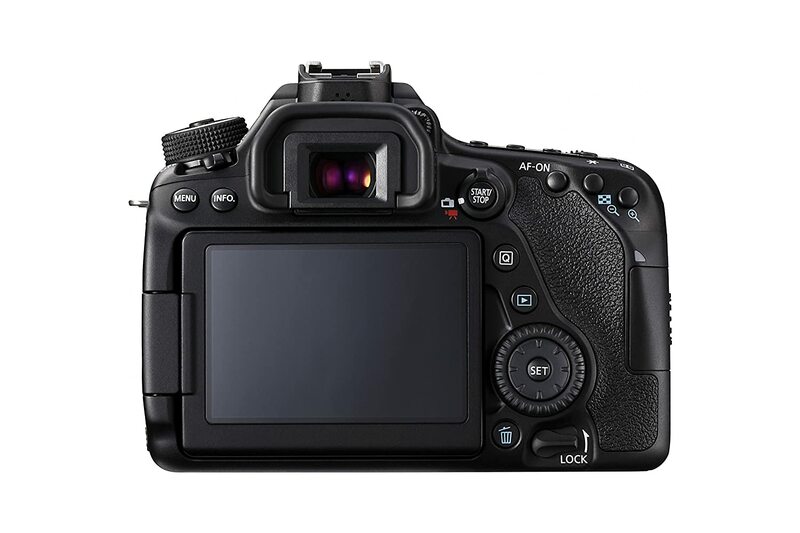 Okay, looking at the camera features, you might think that the camera is so much like the Canon EOS 80D. While it is true, the EOS 80D is still better. However, in many situations, both cameras are largely identical, and the best part of the 800D is that it is much cheaper. Cool Interface: The interface happens to be one of the best, and it is made even better thanks to Canon’s excellent screen implementation. Touch screen & Autofocus: The touch screen controls are among the best I have used. Another great thing about the T7i is the live view autofocus performance; I have always loved Canon for this implementation, and their work with the Rebel T7i is nothing short of amazing. The overall camera quality with pictures, as well as videos is among the best I have seen. For starters, the camera’s finish is on the plasticity side, and while it should not create any issues for some, you are still paying a decent amount for the camera itself. While the photos come out beautifully, I feel like that the dynamic range could be a bit better. Lastly, the camera only offers you 95 percent of viewfinder coverage as compared to the 100 percent of the cameras in the market. 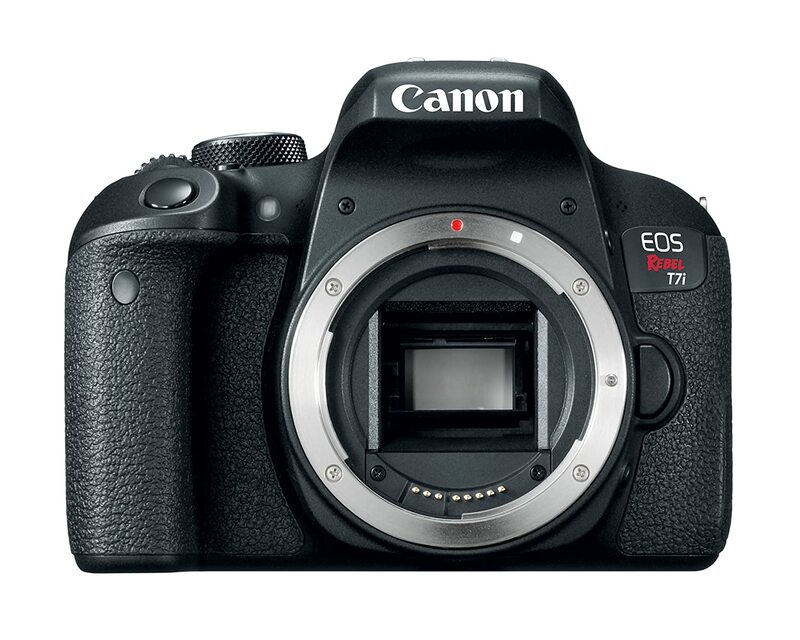 The Canon EOS Rebel T7i is a great camera that fits just right in the Rebel series of cameras by Canon. It is excellent with performance, the interface is one of the best, and the autofocus performance happens to be class leading. 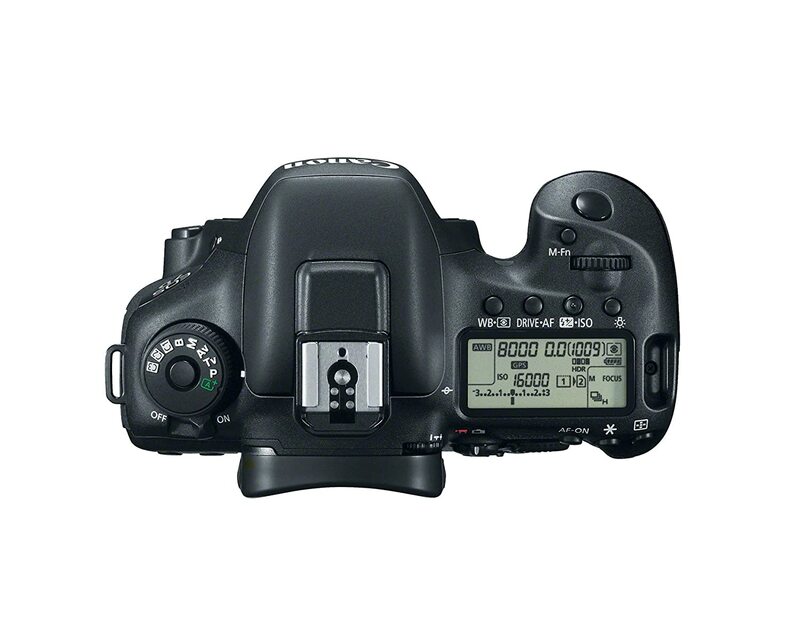 Not to forget, it has all the necessary connectivity options you could in a good, budget-oriented DSLR camera. Overall feel of the camera, and button placement. The thing about Canon is that they have always done right with their fans by releasing some fine cameras. Even if you are on a budget, there is always something for everyone. 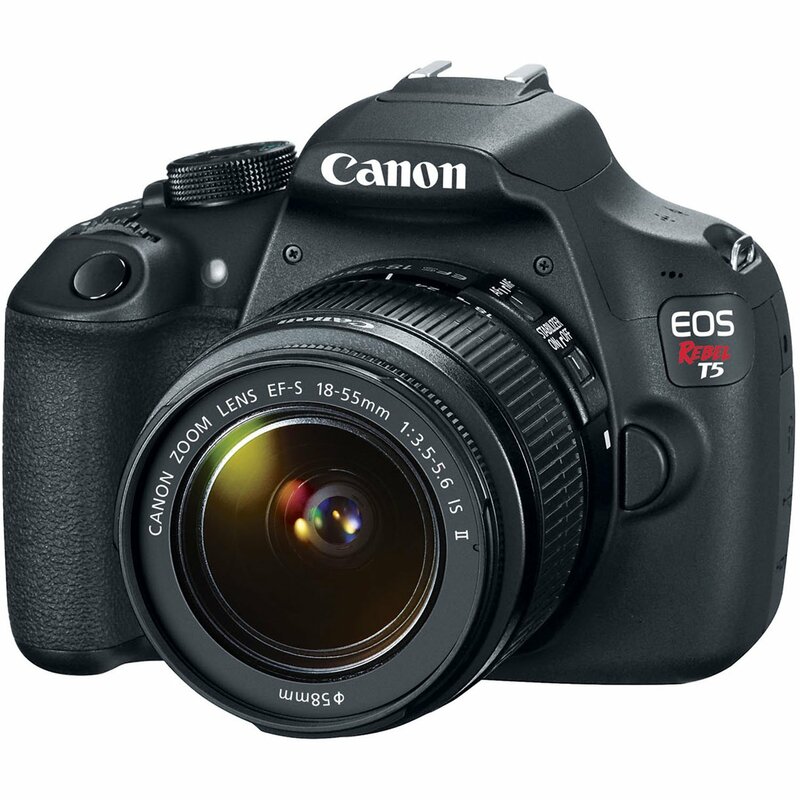 Today, I review a budget-oriented camera from Canon; the Canon EOS Rebel T5. For those of you who are not aware, Canon’s EOS Rebel series aims at newcomers who are not looking to spend a lot of money. 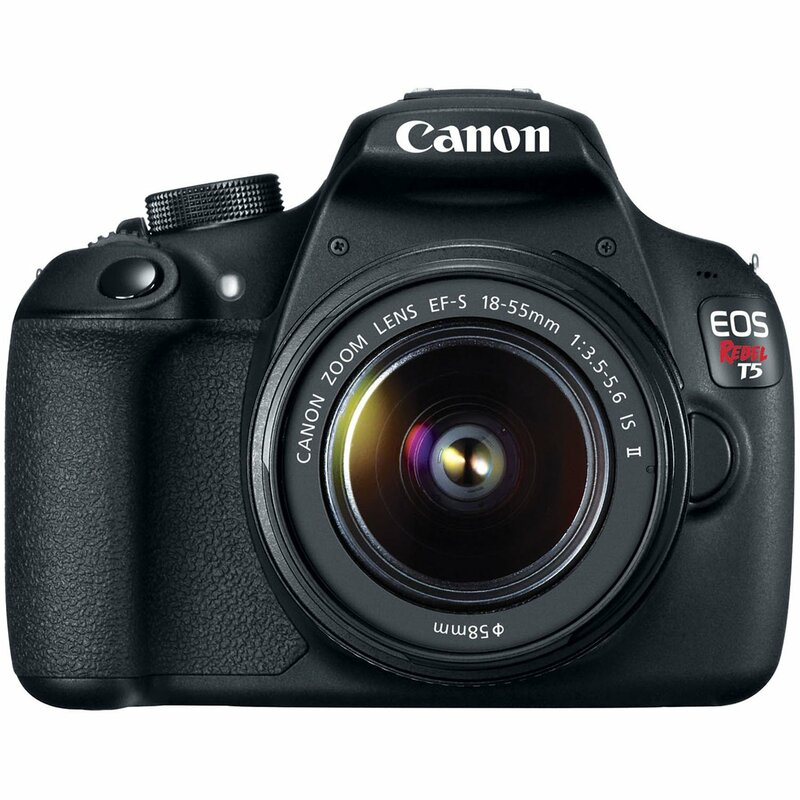 The EOS Rebel T5 comes with an 18-55mm kit lens, and you can check out some of the features of the camera. Right from the feature list, you can tell that Canon has made this camera for people who are not looking to spend a lot of money on a camera. The lens out is same as Canon’s other higher end APS-C cameras, as well as some of the full frame cameras, so you can attach a plethora of better lenses, and up your photography skills. Moving on to the actual good things, the EOS Rebel T5 comes with support for RAW images; meaning you can take full control over how your pictures are going to take a look. The camera’s performance at higher ISO levels is another impressive thing that I have noticed. Last but not least, considering how this camera is for the newcomers, I love how Canon has added an on-screen guide that walks you through all the features of the camera. This is great for beginners who are trying to learn their first camera. For starters, the LCD is fixed. Instead of a pentaprism viewfinder, the camera uses a pentamirror, which is not as bright. The autofocus on the camera is on the slower side, and the buffer size when shooting raw is also small. 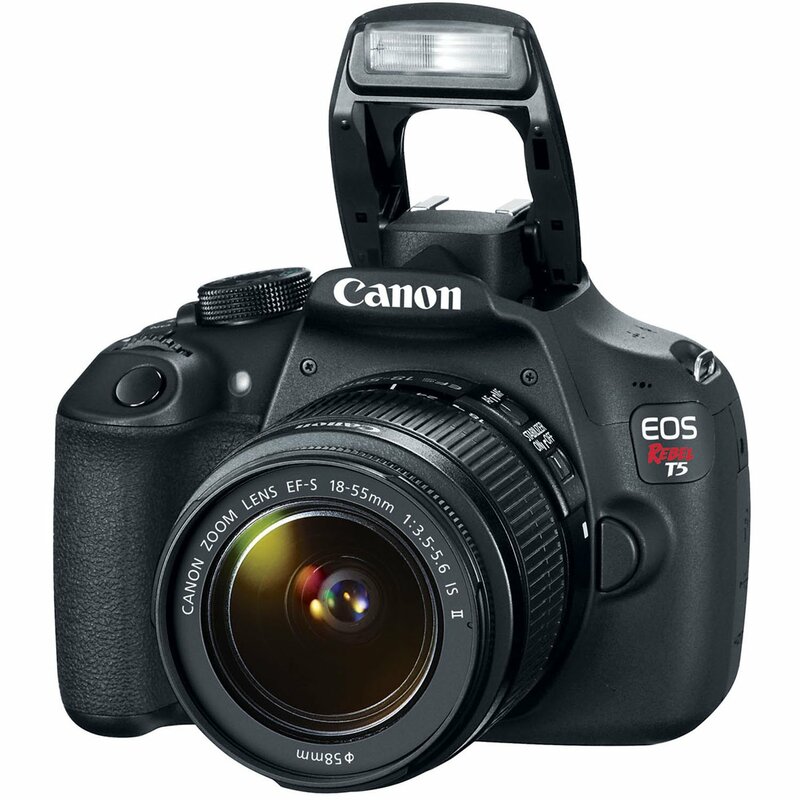 Why is Canon EOS Rebel T5 a great DSLR camera for the price? 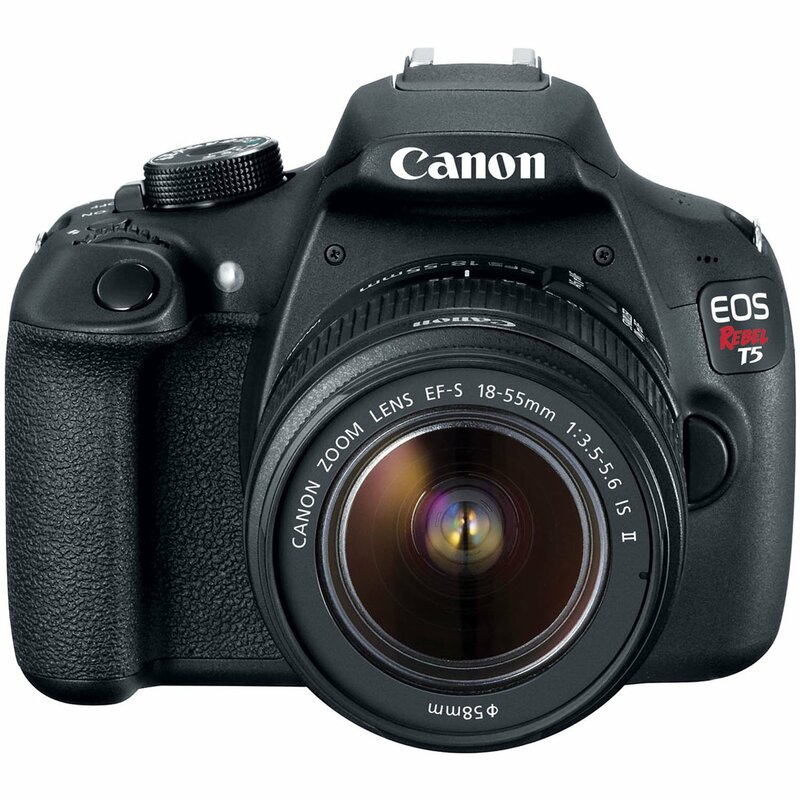 The Canon EOS Rebel T5 is a great camera for anyone who is on a budget. You get full-on lens support, some great photography options, and the fact that you can buy it without breaking your bank is nothing short of amazing. The camera will please you if you’ve never before owned a DSLR and definitely recommend the T5 for a budding photography enthusiasts. Very versatile – Can easily change lenses/settings. 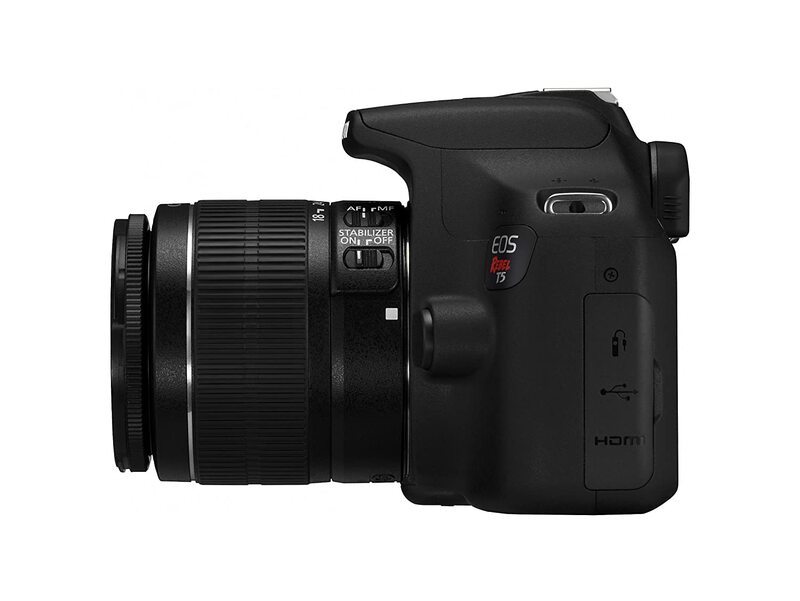 If you are in the market looking for a good DSLR camera, the chances are that you have already rounded up your options. However, the thing that you need to know about buying a DSLR camera is that the entire process is not as easy as it may sound. You do need to do a lot of research before you can finally buy it. Below are some very handy pointers that will help you make the right decision. Before we can go ahead and check out the entirety of the buying guide, we are going to take a look at a few basic tips that should help you buy the right camera. So Specification Will Tell You About the “Best Camera: Buying a camera can be tricky because there is not a single spec that can tell you that a said camera that you are looking at is the best. Megapixels Hardly Matter: I believe this is very common for people to think that megapixels matter. However, sensor size, autofocus system, along with some other features matter more. Newest Does Not Mean the Best: Buying the newest camera does not mean that you are buying the best. A two-year-old Canon E0s 80D is still much more powerful than the newer 77D. Do Try the Camera Beforehand: If you have finally decided on the camera you are buying, I would suggest you try that out. If that camera is not available for trying, try the model that was superseded to get a better idea. 1.1 Do I Really Need a Camera When I Have a Phone? Many people ask this question and to be honest, it is understandable. There is no denying that phone cameras are getting better, and better. Just take a look at the photos taken by the Google Pixel 2, Galaxy S9 series, Galaxy Note 9, and the latest iPhones. You would be hard pressed to question these cameras. No matter how great, we have to admit that these cameras are still far behind in many aspects. For instance, a camera on the aforementioned smartphones cannot match the speed, and controls of a professional camera. Additionally, cameras on the smartphones come with fixed lenses; which means that you cannot zoom in to that extent. Alternatively, if you want some other features of a good professional lens, you cannot use them. Last but not least, not every smartphone in the market comes with a good camera. Have you got more questions about making the upgrade from a smartphone camera to a DSLR camera? Checkout this cool guide by TechRadar. Not many people know this, but when you are buying cameras, you have the choice between interchangeable lens cameras or fixed lens cameras. As the name suggests, when it comes to interchangeable lens cameras, you can easily change the lenses on the cameras should you wish to. Sure, you will have to buy the lenses, but the option is indeed there. You can choose from macro, portrait, telephoto, or zoom lenses if you want to. The freedom is undoubtedly there, and it is great because you do not have to worry about sticking to just one option. These cameras are great because they are versatile. However, the biggest downside to these cameras is that they are on the heavier side, and not just that, they can also be cumbersome, which can create issues for a majority of people in the market. On the other hand, the fixed lens cameras are compact, and they can easily be carried without any hassle. You can put them in your backpack, and be on your way. However, their biggest crux is the fact that you cannot do anything about the lens. You have to use the one that is on the camera, and in case you want something different, you will need another camera. It all comes down to preference; if the photographs you take were mostly similar, then you would be good with a fixed lens camera. However, if the nature of your photography changes every time, then buy a camera with interchangeable lenses for the best possible experience. This is one of the factors that end up confusing a lot of people. Do you want to go for a mirrorless camera or a DSLR? Both have been around for some time, but deciding between them is not easy. The mirrorless cameras are the ones that do not have a mirror inside them, making them much more compact, almost retro like. 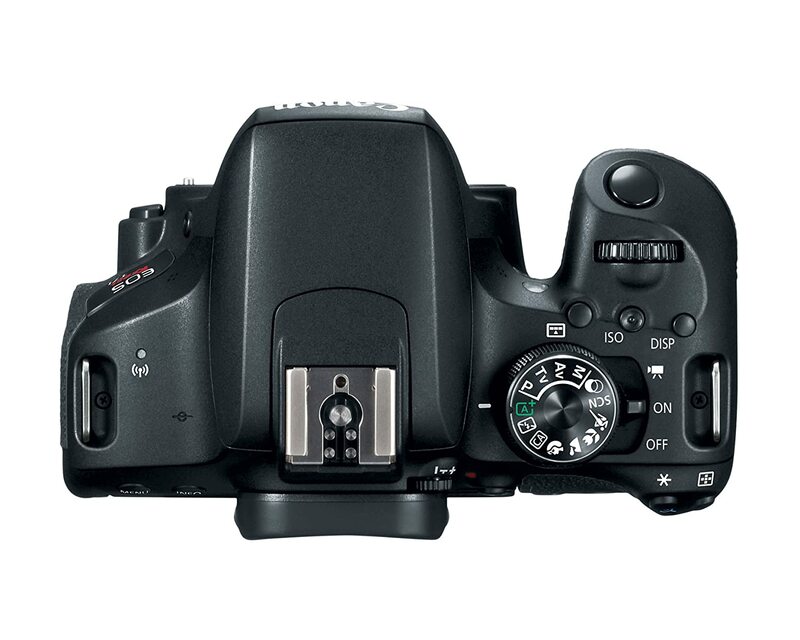 On the other hand, DSLRs larger, and bulkier as well. 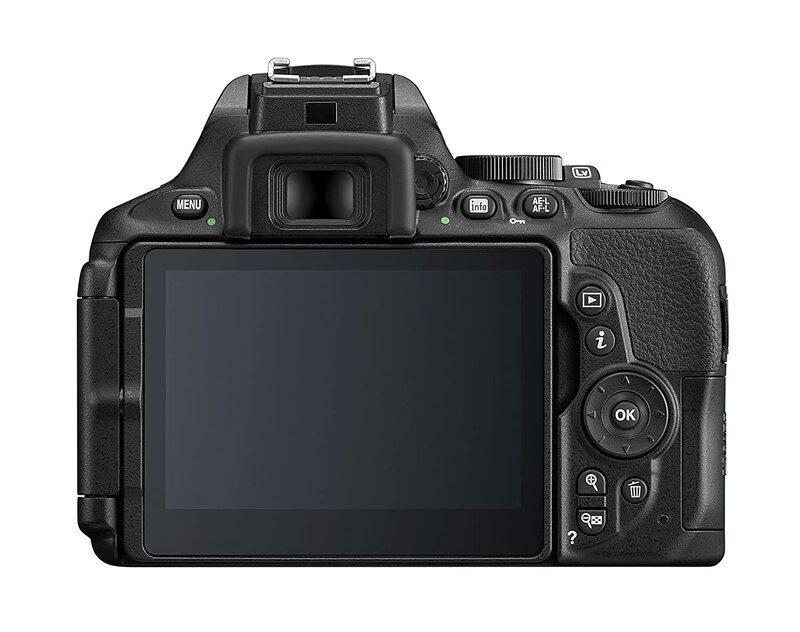 DSLRs use an optical viewfinder as compared to the electronic viewfinders found on mirrorless cameras. The optical viewfinders are much better, and even on the cheaper DSLR cameras, they are much better than electronic viewfinders on the mirrorless cameras. Thanks to their optical viewfinder that requires no powering up, the battery life on DSLRs is much better as compared to the mirrorless camera. You can easily use older lenses from film cameras on DSLRs that support them without the need of an adapter. Not only that, since DSLRs have been around for some time, you have a lot to choose from. An entry-level DSLR is a lot cheaper, and in some situations, much better than an entry-level mirrorless camera. Most of the mirrorless cameras are on the smaller side as compared to a DSLR. For instance, a micro four third mirrorless camera is going to be smaller than its DSLR equivalent, which is APS-C sensor. If you like to shoot video then your experience with mirrorless is going to be much better because you are allowed to view through the LCD, and autofocusing is much better. Another benefit of buying a mirrorless camera is that the viewfinder gives you access to a lot more information, and you can actually witness the long exposure build, and additionally, you can even work well with the filters. The newer mid-range mirrorless cameras have better image stabilization than the mid-range DSLR cameras because the image stabilization on the mirrorless cameras use a combination of sensor shift, and optical image stabilization, whereas DSLRs use optical stabilization combined with lesser digital image stabilization. When in the market for a good camera, make sure that you read all the details that I have shared above, so it can be helpful for you. The sensor size is a lot more important than you might know. As per the rule of thumb, the bigger the sensor, the better the picture you are going to get. Does sensor size still make a difference? Find out more informtion at DPReview. These sensors are available in all the high end cameras out in the market. These cameras are expensive because of having full frame sensor. A full frame sensor means that the focal length of a lens will be used accordingly. For instance, if you have a 50mm lens, you will get 50mm focal length. A step down from the full frame cameras are the APS-C sensors, these are on the smaller size, and using a lens on this camera means that the focal range of the lens gets multiplied by to the crop factor. APS-C sensors are also called crop sensors. 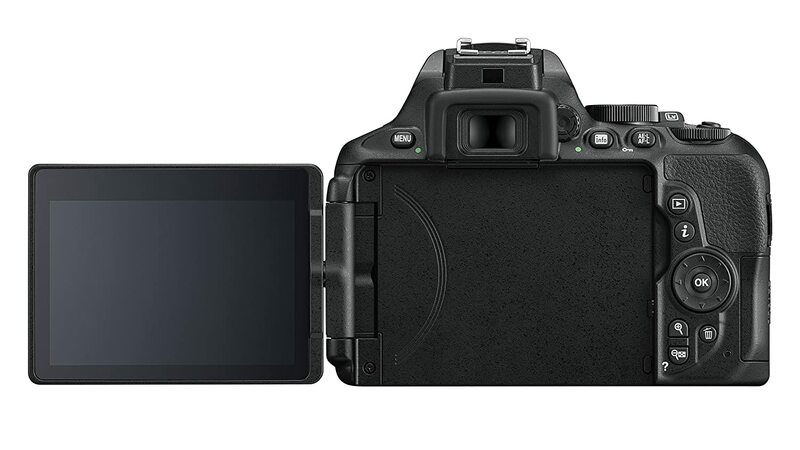 Panasonic and Olympus introduced this sensor in their mirrorless cameras. Considered as an equivalent of APS-C sensors, this is slightly on the smaller side. Eager to know more about the Micro Four Thirds system? Check this informative page by Wikipedia. Whenever you are buying a camera, make sure that you consider all the factors. This will make the whole buying experience much easier. 1.6 Are You Going to Shoot Video? Another important thing that you need to consider is whether you are going to use the camera for shooting videos. 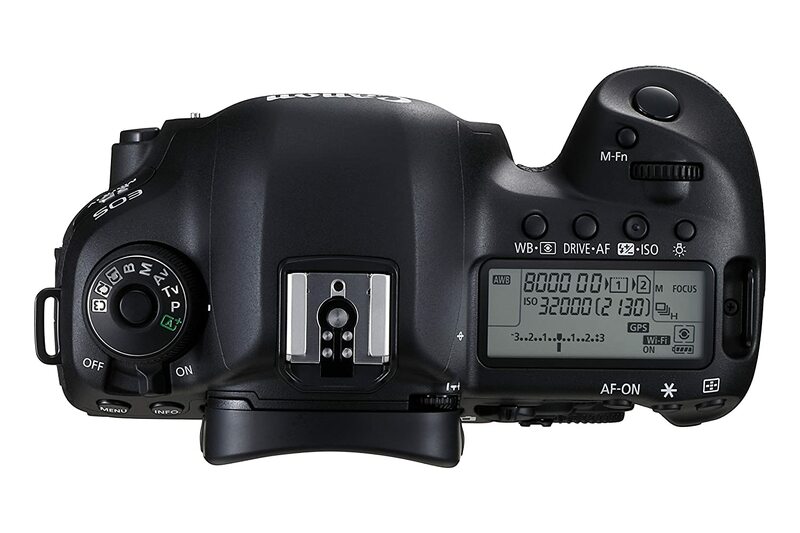 You can find many DSLRs and mirrorless cameras capable of shooting at 4k. However, these cameras are certainly not going to be cheap, so you must consider that beforehand. 1.7 Do You Want Weather Sealing? If you are wondering whether the camera you are about to buy is waterproof or not, it is not. However, you can buy cameras that are weather sealed. These cameras can operate under drizzle without any issue. However, full water submersion is something that I would not advise. Additionally, one more important thing that I would highlight here is that cameras that are weather sealed tend to be more expensive as compared to cameras that are not. You can check out What really makes a camera Weather Sealed. Another important thing that I would suggest you to consider whenever you are in the market for the camera is the wireless feature. Most cameras do come with WiFi, Bluetooth, and NFC, but there are cameras with these features missing. Therefore, my suggestion to you is that you should look for these features. They only make your photography experience much smoother, and you no longer have to worry about connecting your camera to your computer and then transferring. Simply transfer them wirelessly. However, cameras with these features tend to be more expensive as compared to cameras that do not have this feature. If you want the most convenience, I would suggest you go with cameras that give you wireless features to make sure your connectivity issues are not a problem. Testing cameras is certainly not an easy job, especially when you have so many options available in the market. However, with this roundup, we have tried to make sure that whoever is in the market looking for a good DSLR, the experience is easy as it gets. To keep things fair, we have included DSLRs from both Nikon, and Canon side of things, and additionally, we have covered some of the highest end cameras as well as the most budget oriented options. Additionally, if you still need help, our comprehensive buying guide will help you buy the best possible DSLR.